Strathcona snowday: MacLean Park in Vancouver, December 5, 2016. Photo: Hsu Mei-lang. 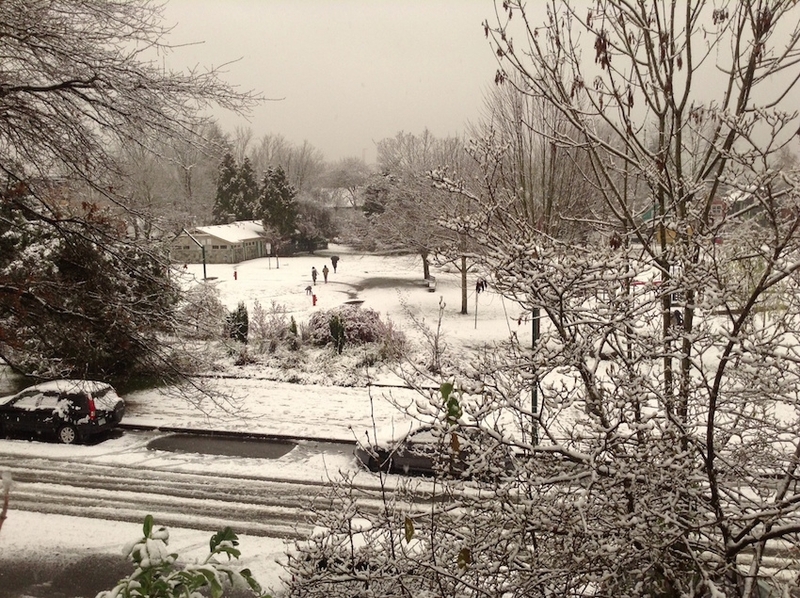 The first significant snowfall to hit the Vancouver region in more than two years is causing widespread transit delays and has prompted several school closures, including the shutdown of a university campus. Environment Canada issued a weather warning early Monday, predicting up to five centimetres of snow for much of the south coast as well as southeastern Vancouver Island. The Island warning was lifted later in the morning. Matt MacDonald, a meteorologist with Environment Canada, said the snow would let up by the afternoon but that a stronger storm was forecast to move in by mid-day on Thursday. "I think this morning was a good reminder and test for what may be to come," MacDonald said Monday. "We'll see the temperature drop to minus two tonight, and on Tuesday down to minus seven in Vancouver, so some of the coldest temperatures we've seen for a long time." Simon Fraser University announced it had cancelled classes at its Burnaby Mountain campus, citing hazardous driving conditions. Metro Vancouver's transit authority warned residents that most of its bus and SkyTrain routes were experiencing delays. MacDonald said the previous two winters saw only a single instance of light snowfall in the Vancouver area. 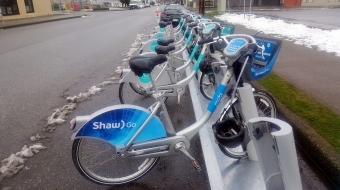 The most recent significant amount of snow to hit the Lower Mainland was in late February three winters ago, when the region saw 23 cm of the white stuff, he added. Chilly temperatures are expected to stick around for the next few days, until a second bout of snow arrives later in the week, he said. "Keep an eye on the forecast," MacDonald advised. "Be prepared for difficult travel conditions and long commutes home come Thursday afternoon." The cooler-than-usual weather is predicted to last several more weeks, when a return to normal temperatures is expected in the new year.